With each passing generation, the Si seems to look more and more aggressive. And with the increased aggressiveness, the wing Honda equips to each generation of the car seems to get bigger too. Overall, I do like the look of the car. It evokes just the right amount of sport without taking it to boy racer levels like with the Type-R. The sedan has an even more subdued look (which I prefer more), but unfortunately, the sedan was stuck inside the showroom and I couldn't get it out for a test drive. Aside from the wing, which I will admit isn't that bad, the one design element that bothers me are two lines that run down the side of the car. 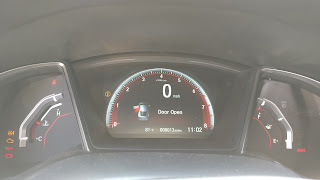 The crease going from the lights down the side creating the front fender flare is disconnected from the crease that begins at the door and runs all the way to the back of the car. For whatever reason, this bothers me a great deal because it screams "incohesive!" I just feel that if the line was connected from the front all the way to the back, it would give a more cohesive look. Then again, maybe that's why I'm not an automotive designer? The interior of the car is essentially what you'd expect from an Si trim of the Civic: better bolstered seats, red stitching on the steering wheel, seats, shift knob and boot, and fake carbon fiber trim everywhere. Really, it's not much to write home about. The true highlight of the interior, at least to me, was the gauge cluster. The Si's gauge cluster is fully digital, with the tachometer front and center in the cluster. And when I mean fully digital, I mean the center portion of the cluster is an LCD screen that displays the tachometer and your speed. 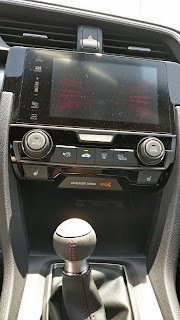 There are two small LED strips above the center screen that act as shift lights for the car. Definitely a nice little touch. Ultimately, the Si is supposed to be a driver's car, so the big question is, "how does it drive?" As mentioned earlier, the Si comes equipped with a different version of the L15B7 found in the more pedestrian versions of the Civic. The difference between this engine and the one in the EX and hatchback versions of the Civic? Increased boost pressure and a different turbocharger. These modifications ensure the engine is rated for 205 horsepower and 192 lb./ft. of torque, making it the most powerful version of the Si ever produced. OK, I know what you're all thinking: that's the same amount of horsepower as the previous generation model! A couple of websites have already taken this car to a dyno, and the numbers they're getting prove that Honda has severely underrated this engine. How so? Most people were getting 205 horsepower and 192 lb./ft. of torque...at the wheels! Accounting for drivetrain loss, this translates to roughly 235 horsepower and 221 lb./ft. at the crank. Now that claim of "most powerful Si ever" doesn't seem so silly anymore, does it? powerful than any naturally aspirated four cylinder powered Honda I have ever driven. In fact, getting on the gas hard makes this car pull hard enough to make it feel like it'll accelerate as quickly as our V6 powered Accord Touring sedan (in reality, it doesn't though. It's about 7/10ths of a second slower to 60). This, of course, is all dependent on whether or not you have the car in "sport" mode, which changes the throttle mapping and steering feel (more on the steering later). In sport mode, turbo lag is much less apparent. As the turbo does come in at a fairly low RPM, it almost feels like you're getting that good 'ol fashioned VTEC kick in the pants but at a much lower RPM. In case you were wondering, this engine no longer has VTEC. Sorry Honda bros, no more "VTEC just kicked in yo!" Leave the car in its standard driving mode though, and the acceleration can feel quite sluggish while you wait for the turbo to finally kick in. My suggestion? Don't take the car out of sport mode until you get to cruising speeds. There's another reason to leave the car in sport mode: the steering. I know my brother and I complain about this a lot, but why can't anyone at Honda just find the person or people who worked on the electric steering for the S2000 and NSX and let them work on the steering for Honda's current vehicles? In normal mode, you know what you get from the steering? Nothing. Nada. Zip. OK, it's not quite that bad, but it feels roughly like the Accord. The difference is I'm willing to give a pass to the Accord for the dull steering because it's meant to be a freeway cruiser, not an enthusiast's car with sporting intentions. The steering feel is much more acceptable in sport mode, with better weighting and some feeling of what the front wheels are doing. Thankfully, the car's excellent suspension tuning makes up for the steering. When it comes to making a performance car out of a front wheel drive vehicle, Honda definitely knows what its doing. 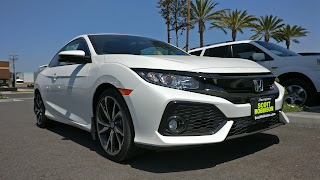 I was amazed at how neutral and flat the Si cornered, and also equally amazed at the lack of torque steer when getting on the gas hard from a stop. The car I tested came equipped with the standard all-season Goodyear tires, which were OK at best. I'd opt for the optional summer tires for a far superior driving experience. And what of the brakes? Well...they were there. I don't mean that in a bad way, but they really aren't much to talk about. 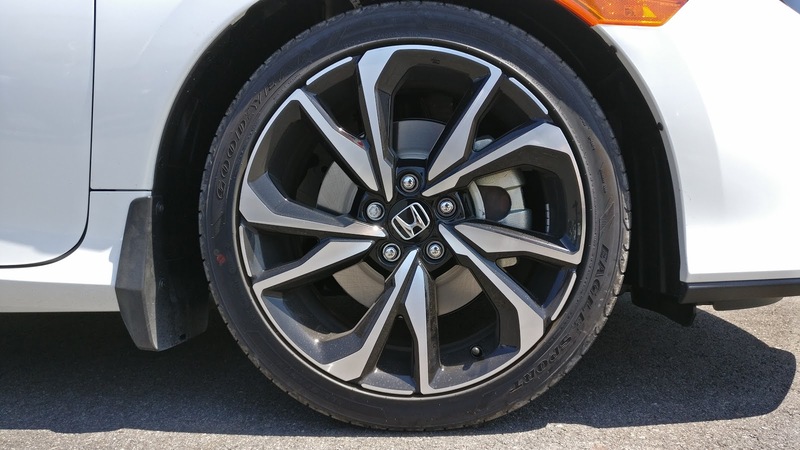 Like essentially all of Honda's vehicles, with the exception of the S2000 and any vehicle equipped with Brembo brake equipment, they're just kind of there. They stop the car reasonably well with a reasonable amount of pedal pressure and feel. The end. The driving experience is slightly marred by two things. While I still firmly believe that Honda makes some of the best manual transmissions, this one left me scratching my head a little. It's not that it wasn't good. It was still bolt action precise and notchy, but it felt a little plasticky as you slotted the lever into gear. Maybe Honda wants to cater to the video game crowd too? I hope not. The other thing that bothered me was pedal placement. I couldn't properly execute a heel-toe downshift for the life of me. I wouldn't exactly call my feet small either as I do wear a size 9 to 10 shoe (depending on manufacturer). This wouldn't quite bother me if the Si had the auto throttle blip feature like in the Type-R. If there's one interesting thing I've notice about the Civic Si over the years, is its always had a "hit or miss" reputation, and every other generation seems to be a miss. The first mainstream Si sold in the US in 1999 and 2000 was a big hit, despite its limited production run. This generation of the Si is still highly sought after today, probably because it's dirt cheap now and there is still plenty of aftermarket support for it. 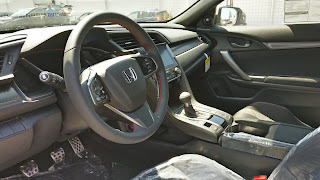 The next Si, which was the hatchback sold along with the seventh generation Civic in the US, was widely considered very "meh" in part because of its quirky shifter. I'm often told Honda's decision to cram the base model Acura RSX's engine had something to do with its lukewarm reception. 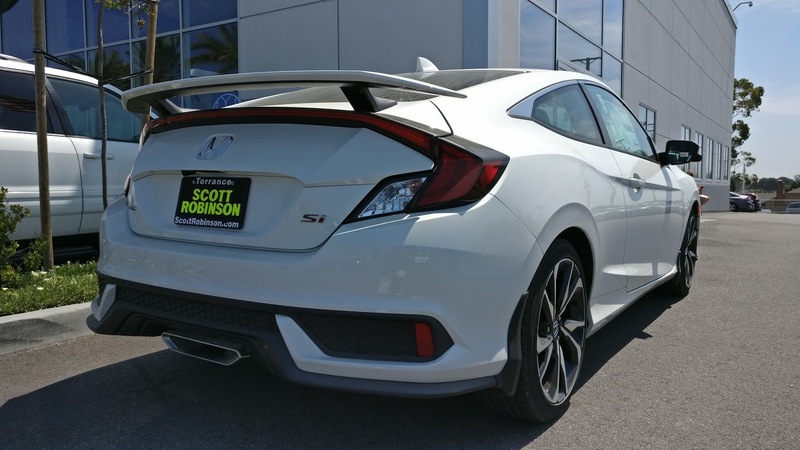 The eighth gen Civic Si was often considered the true return of the Si. With its high revving K20 and sharp handling, the eighth generation Si was widely praised by both enthusiasts and the automotive press. Moving on the the ninth gen, many were upset with Honda's decision to use the larger K24, effectively giving the car better mid-range power, but neutering top end power. The ninth generation Si also received a lukewarm reception, especially compared to the success of the eighth gen. 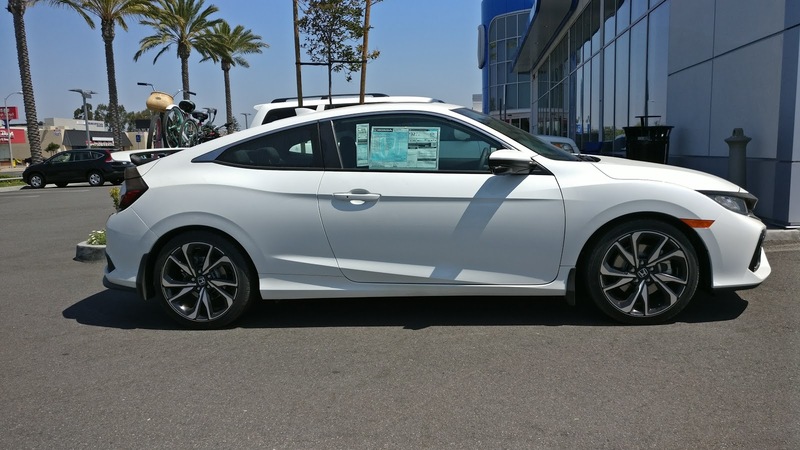 But what of the 10th gen Si? While many Honda enthusiasts were initially hesitant about the turbo engine, something tells me this car will be widely loved just like the sixth and eighth gen cars. The automotive press is already heaping praise onto this car, and lots of first impressions from enthusiasts who have driven the car seem to be positive. So is this an Si I'd recommend? Yes. Yes it is, especially since getting a Type-R right now is next to impossible. After driving the car, any doubts I had about it being powered by a different version of the L15 pretty much went away. The idea of an Si powered by something other than a B or K series engine will take some time to get used to, especially since the displacement of the current Si is actually less than the Si from the late 90s (which was powered by the B16A2). 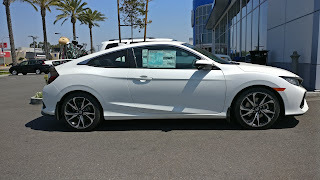 But if you're not in the "no replacement for displacement" camp, and are looking for something sporty, fun to drive, and practical (if you get it sedan form, of course), the all new 10th generation Si is hard to beat. The best part? 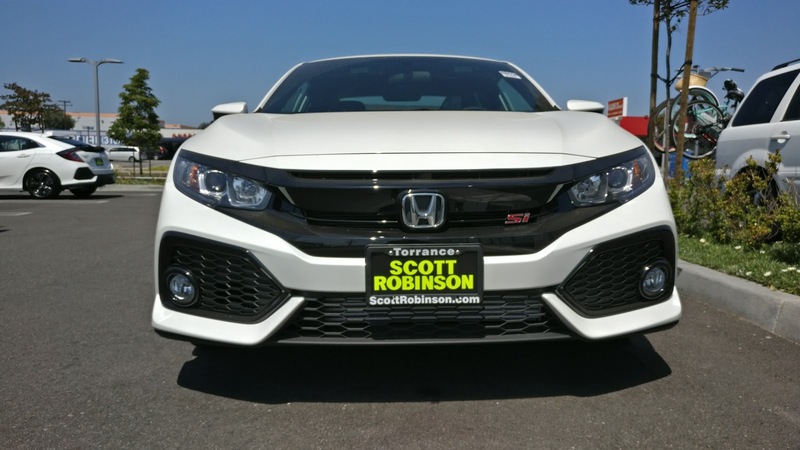 If the Si's horsepower and torque figures seem too little for you, famed Honda ECU tuner Hondata already has an ECU flash for the Si, bumping horsepower and torque an additional 27 horsepower and 40 lb./ft., respectively. I guess we can't really complain the Si is gutless anymore, now can we?